During the closing ceremony, José Joaquín Campos, Director General of CATIE and Niels Elers Koch, President of IUFRO, invited all Latin Americans involved in forest-related research to become more active in IUFRO, the world’s forest science network that plays such a key role in promoting international coordination and cooperation in forest research. At the closing dinner of the congress, the 40th anniversary of CATIE and the 20th anniversary of CIFOR were celebrated. CATIE’s innovative work for the benefit of rural people and areas and CIFOR’s achievements in research supporting decision making with regard to forest use and management in the least developed countries of the world were acknowledged. IUFROLAT 2013 was jointly organized by IUFRO and CATIE. More than 500 researchers and experts in forest-related fields participated, representing more than 30 countries of the world. 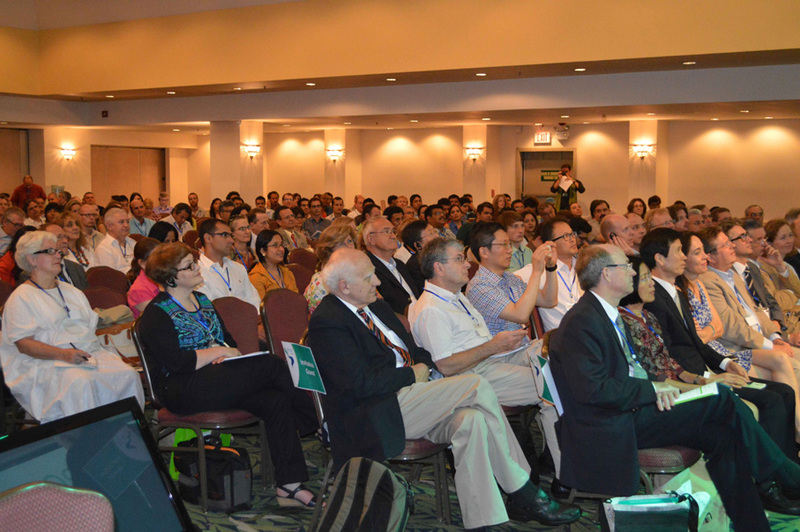 The congress took place from 12 to 15 June 2013 in the Hotel Crowne Corobici in San José, Costa Rica. On the day after the closing, participants had the opportunity to get to know different regions of Costa Rica in the course of post-congress excursions. Note: The resolutions of the Congress presented by Ronnie de Camino, CATIE, at the beginning of the closing ceremony, will soon be made available.